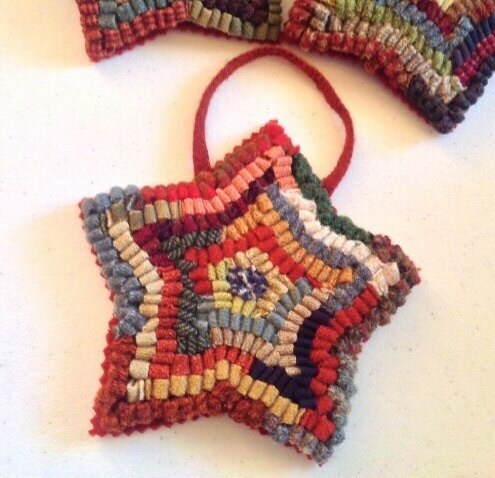 This listing is for ONE hand hooked primitive star ornament. It has been hooked with 1/4" strips of wool in a variety of colors. It measures just about 5" across. 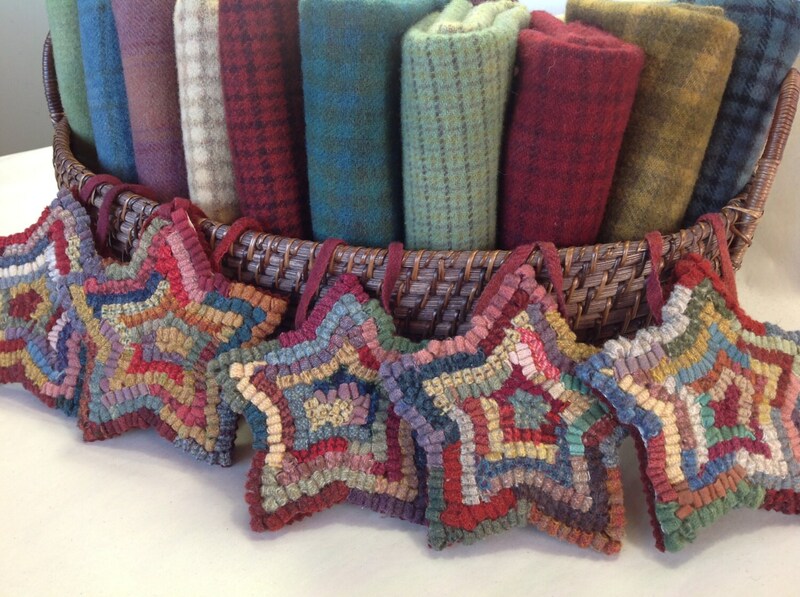 Wool with pinked edges covers the back of the star. 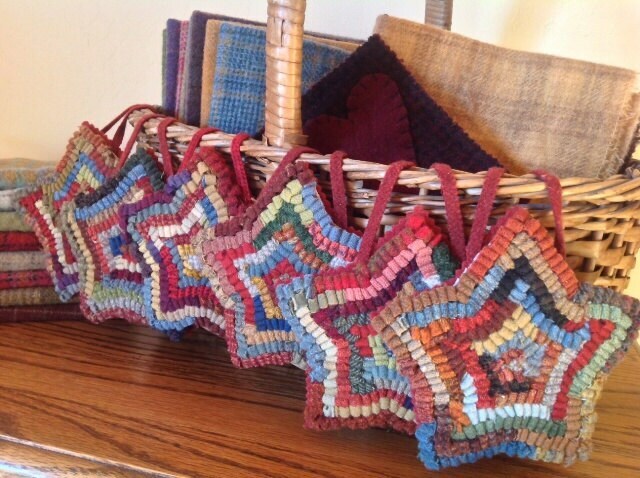 A wool 1/4" strip is attached to the top to make it an ornament or door hanger. I have several of these available. Each one is unique. The style is called "hit and miss" because I randomly choose strips from a basket full of lovely colors. Hang it from a window sill, dresser drawer or attach to the back of a chair or side of a cupboard. It's a wonderful little piece of color and visual interest that will add a bit of primitive Americana to your home. 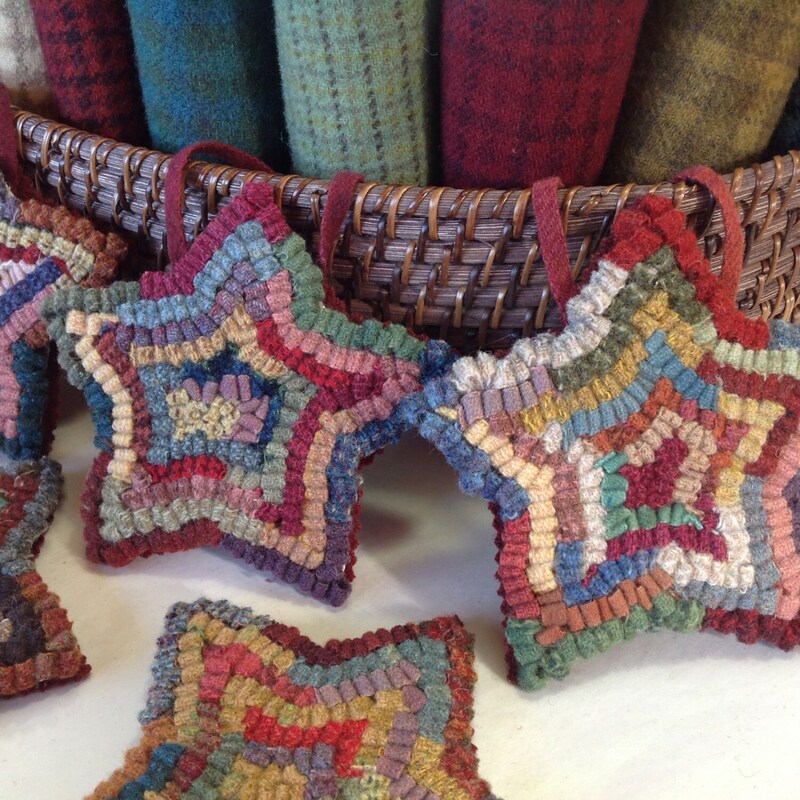 It would be a great gift for those on your list who love primitives and for your best rug hooking friends. FREE shipping on this item when purchased with other items. Cute star and excellent service. Love love love! So cute. I would love to learn rug hooking but no time now, maybe when I retire. In the meantime, I now have this very pretty and well made star!